Well, this is taking longer than I thought. Well, what is taking longer was getting the fabrics. 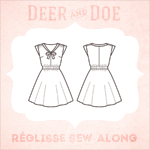 I thought I would have enough time to sew this all together and I would've had, but then I realized I need to line the dress, because my fabric was kind of thin and I would wear it so much more with a lining. But then it took me forever to get the lining fabric because they didn't have what I wanted in storage. And when I finally started cutting and sewing (I could've cut it earlier...) I realized that I don't have enough fabric to make my own bias binding, so I had to order that too... Except then I just realized that since I'm lining the dress I only need the bias for decoration... And then just plain life and work got in the way of my sewing. My parents have been here and I've had some deadlines at work. So, I didn't make to the sew-along deadline. Pastille - bodice, a photo by RankkaApina on Flickr. I decided to use this fabric as a contrast, so that I got something fun to my otherwise very brown dress. 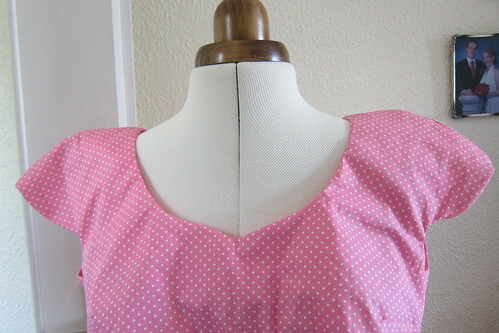 And I decided to add pockets, because I love having pockets. 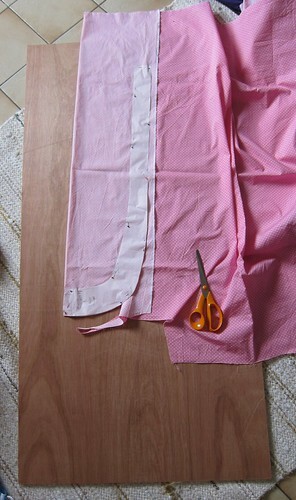 And I found a good tutorial for adding the seam pockets to basically any pattern. But now at least I have all my fabrics. 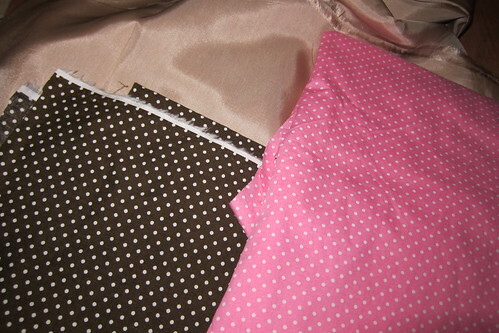 The brown is for the main part of the dress, the pink I'm using for the collar and sleeves, and the beige bemberg is for lining. La Réglisse - fabrics, a photo by RankkaApina on Flickr. Sewing board, a photo by RankkaApina on Flickr. I've had a problem with my tile floor: I need carpets, because the floor is too cold, but I can't cut on a carpet. So, I've been using a clear quilting ruler, but it's way too small. This board is 120cm x 60cm. I really wanted a 120cm x 80cm, but there wasn't one ready and I didn't want to queue. Well, that would've been perfect. But this is good enough. In any case I don't think I have time this week to finish my Réglisse (or the flapper dress for that matter). Weekend will be used for swing dancing, so I won't finish until next week. But I'm convinced that it will look good and it will have pockets (I think more women's clothes should have pockets, if this wasn't clear yet...).